NetworkFitting into the needs of the network era, you can respond to the network requirements. Needless to say, abundant fonts plus numerous bar codes and two-dimensional codes are built in. We supply 20 bit map fonts & 7 outline fonts as standard, 20 true type fonts as an option, most common bar codes and 4 kinds of two-dimensional codes. Furthermore, you can manage both size and layout freely by using the freeformat system. You can create exclusively intrinsic labels by the combining the enlarging of characters and reversal functions. With a structure that you can easily maintain the unit and replace paper and ribbons without fuss. Day to day operation is user-friendly with the easy maintenance. Should a paper jam occur you can clear it with out hassle. Also exchanging paper and ribbons is a breeze with the pop-up the ribbon (head) mechanism. The Paper size is variable from 47 to 114mm width and 15 to 997mm length (print length: 15 to 500mm). You can print various cards; price tags, stock labels, article labels, rating labels and tickets. Better still, the optional cutter module and the peel-off module extend the functionality to variable length cutting and on-demand printing. B452 with built in 12V DC-DC converter for mobile cart. 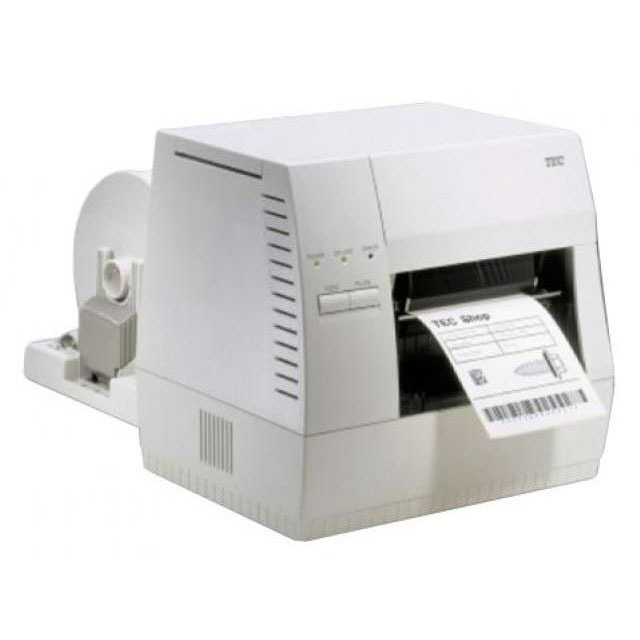 TOSHIBA TEC provides a barcode label printer, B-452 with built in 12V DC-DC converter for mobile cart.